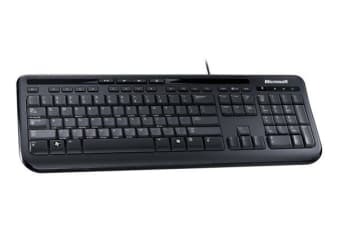 Reliable and practical, this keyboard is full-optimisied for the best computing experience ever. Plug and play – no software needed! The Microsoft Wired Keyboard 600 – Black (ANB-00025) delivers all the features you need – and more. Quiet-touch keys, Windows 8 shortcut keys, and quick access media controls simplify how you use your computer and let you focus on the task at hand.